The Garador Kenmore classic design integrates well into the architecture of both traditional and more modern housing. Our Garador GRP panels are made as an infill and then fixed into our rigid box section chassis. This provides a very stable door construction. It will not twist or warp. 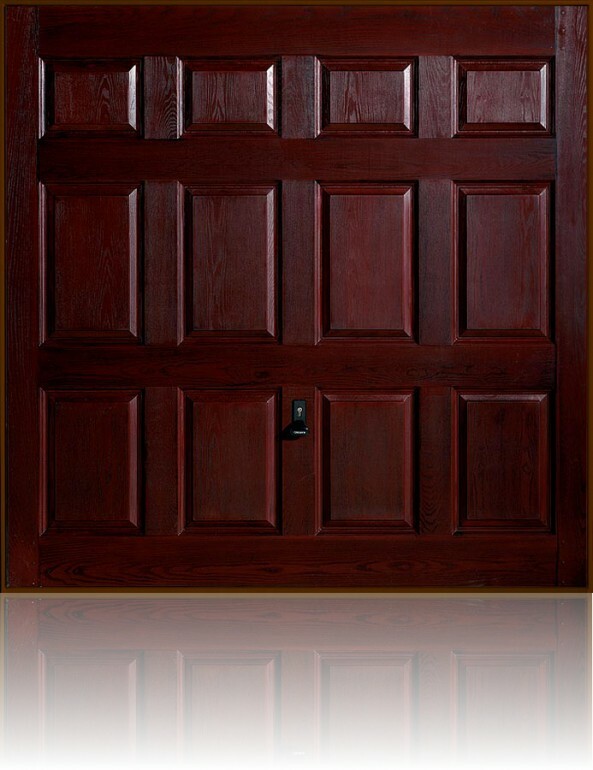 As with all GRP doors, the surface finish of the Kenmore timber effect GRP door can vary between a close grain, which looks like a carefully sanded wood, and a wide grain, which has a more rustic character. You can further customise the unique appearance by incorporating one of the numerous window options. The Kenmore comes as standard with a secure 2-point locking preventing unauthorised entry. a high level of safety and security. As an option, four point locking is available. This makes this door even more secure. 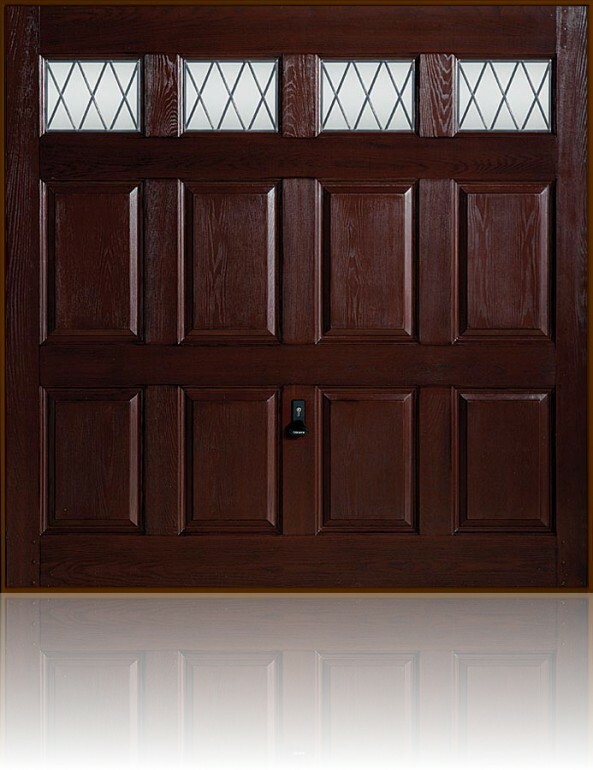 A zinc-coated torsion spring gives the door durability and a clean, finished look. Garador have fitted an anti-drop device. This prevents the door from crashing down in the unlikely event of a spring or cable failure. 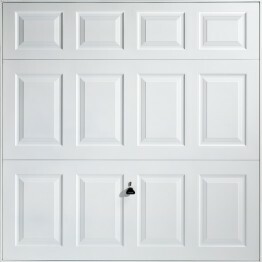 Choosing an operating mechanism that is suitable for your garage is as important as choosing the right door panel. 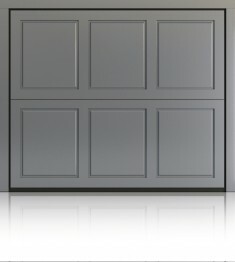 A retractable door opens along horizontal tracks inside the garage and travels back into the garage space when opened. Automatic operation can be fitted to retractable mechanisms. 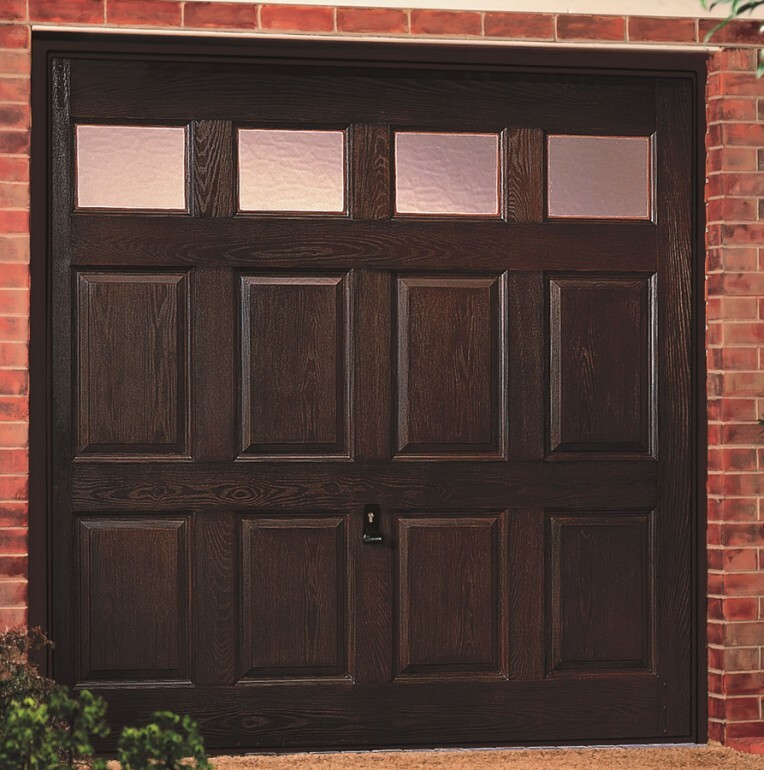 A canopy door requires less space for opening, but one-third of the door protrudes from the garage while open. Also available to you is an optional 4-point locking kit. We can have this fitted to either operating mechanisms to provide extra security when it is needed. This 4-point lock comprises steel locking bar rods and slam-shut latches to increase the number of locking points. 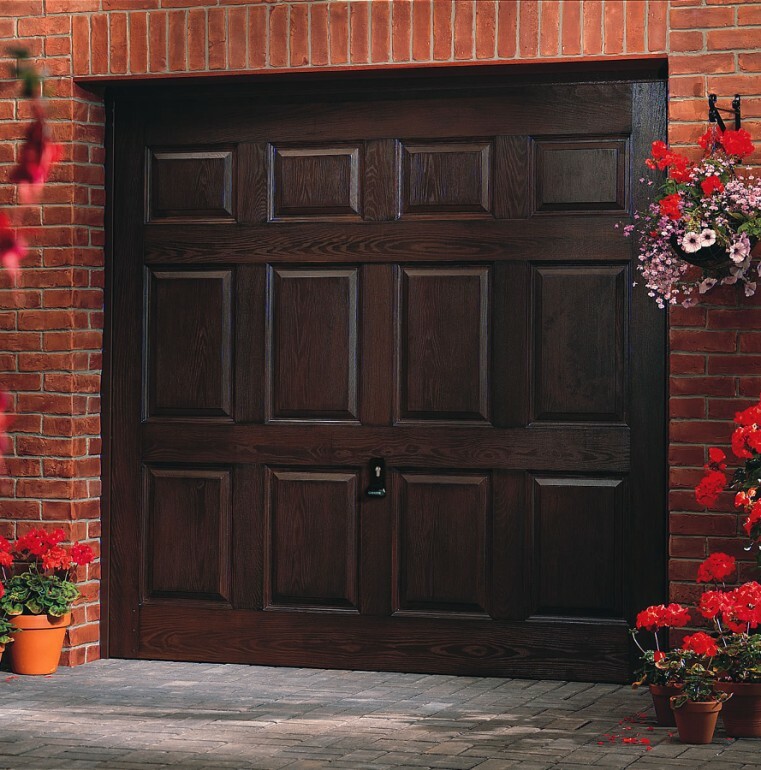 Lakes Garage Doors are suppliers and installers of all of the Garador products. We have a number of these products on display at our Lancashire showroom. Call and see our impressive display.